TELLICHERRY EXTRA BOLD – These rare Tellicherry Extra Bold Peppercorns are the highest grade of black pepper to come out of what considers to be the finest Organic Tellicherry Black Peppercorns production area in the world along the Malabar coast of India. DISTINCTLY UNIQUE FLAVOR PROFILE – Sweet, fruity, bright yet balanced aromatic spice. Quite distinct with a complex aromatic flavor compared with other types of pepper. Truly a gourmet peppercorn. INCREASES TURMERIC ABSORPTION – Not just for enhancing flavor, Organic Tellicherry Black Peppercorns contains Piperine, which increases the bio-availability of Turmeric Curcumin. Rich in Anti-oxidants. NUMEROUS HEALTH BENEFITS – Stimulates digestion, excellent carminative (helps with flatulence), Antibacterial. For best results, use freshly ground pepper. PURE AND ORGANIC- Non-GMO, and contains no chemical pesticides, artificial additives or preservatives. The spice, commonly referred to as pepper, is available in several varieties, including black, green and white. Organic Tellicherry Black Peppercorns are created by drying the fruit of the Piper nigrum vine, which picked just before it turns a ripe red. Some enzymes in the outer fruit cause the black peppercorns to turn dark brown upon drying and assume a characteristic black color. Blue Lily Organics Tellicherry Organic Black Peppercorns are a very large selection of black peppercorns grown on Mount Tellicherry on the Malabar coast of India – perhaps the best-known manufacturer of antiques The most sought-after variety of black peppercorn, whole Tellicherry black peppercorns left on the vine longer than other varieties, resulting in a more robust, rich and pungent flavor with subtle fruity undertones. Blue Lily Organic Tellicherry Black Peppercorns contain good amounts of Vitamin C, Vitamin K, Iron, and Manganese. In addition, it provides a low amount of fiber and protein. Whole black peppercorns used in folk remedies since ancient times to address a variety of concerns. They are still a component of many formulas in traditional Ayurvedic (Indian) Medicine. In the Buddhist religion, black pepper was also one of the very few medicinal substances monks were permitted to carry with them. The array of phytochemicals in whole Tellicherry black peppercorns – including pyrrolidines and amides – along with their nutrient profile may be responsible for their purported antioxidant and other health benefits. Another important phytochemical compound called piperine found both in whole fruits and in seeds of Tellicherry black peppercorns. This is the source of his pungent taste. Current studies have shown that piperine increases the absorption of certain nutrients and substances such as curcumin in turmeric. It is also believed that piperine is responsible for the infamous reputation for black pepper, which promotes sneezing, although this has never been definitively proven. Blue Lily Organics Whole Tellicherry Black Peppercorns have a wider range of application than perhaps any other spice. Ground black pepper or pepper is one of the most common spices, but also one of the most distinctive. The problem is that pepper quickly loses its potency and taste soon after being ground. With Blue Lily Organics Whole Tellicherry Black Peppercorns, you are able to grind as needed to ensure fresh, potent flavor with each use. 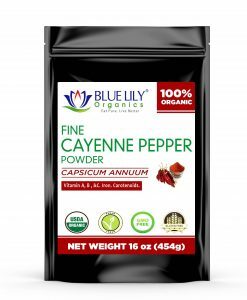 Blue Lily Organics Tellicherry organic peppercorns sought after for their subtle yet complex tastes. This all-purpose pepper preferred in kitchens around the world for its versatility and superior taste. Either by adding it to your favorite dish or creating a strong new note or crust for your favorite meat. Tellicherry Blue Lily Organics black peppercorns will not disappoint. It may surprise you, but Blue Lily Organics Organic Tellicherry Black Peppercorns aren’t just for cooking! Black pepper’s antioxidant properties, nutrient content, and coarse texture make it a wonderful ingredient in homemade facial treatments. Just grind Blue Lily Organics Whole Tellicherry Black Peppercorns and add to a little water to make a wonderful natural exfoliating scrub. Black pepper can also work wonders for your hair and scalp; just grind a teaspoonful and blend with equal parts lemon juice and water. Apply to your hair, focusing on the scalp area, leave on for 10 minutes, and rinse. Black pepper stimulates the juice and the digestive enzymes and thus promotes digestion. This is the case when eating black pepper, especially with a meal that can improve your body’s ability to break down and digest food. Black pepper prevents pigmentation of the skin, called vitiligo. This condition causes the skin to turn white. However, you should know that black pepper filled with the tube, which restores the natural skin color. The outer layer of peppercorns helps in the breakdown of fat cells. When the fat cells break down into their constituents, the body treats them lightly and applies them to other processes and enzymatic reactions, rather than settling in your body and making you overweight. Ad pepper to your sandwich to combat a headache. Interestingly, piperine in black pepper is anti-inflammatory. The researchers recently investigated the effects of piperine on pain sensation as well as anti-inflammatory and antiarthritic effects. 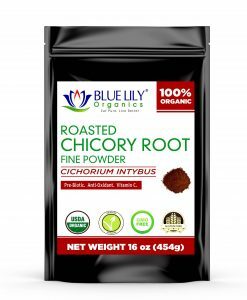 Blue Lily Organics Tellicherry peppercorns can lose their taste when exposed to light. Keep them in an airtight container in a cool, dry place for optimum taste and taste and chop them up if necessary. The shelf life of Blue Lily Organics Whole Tellicherry Black Peppercorns is approximately two years. 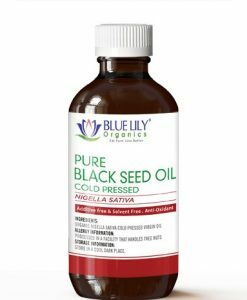 Blue Lily Organics Organic Tellicherry Black Peppercorns are non-GMO, and naturally-grown with no chemical pesticides or artificial additives. 100% USDA Certified Organic.